If you have an email address on file, please use your password to log in. If you never logged in before or have lost your password, you can get a new password below. If you do not have an email address on file, you can still register as a guest at the bottom of the page. 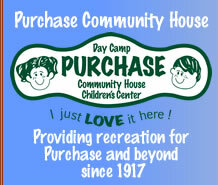 Please log in to access the Purchase Community House Online Pool Registration. Enter your email address and click on the Get a Password button. A temporary password will be emailed to you. You can change your password once you log in with the temporary password. Click HERE to register for a pool membership without logging in.